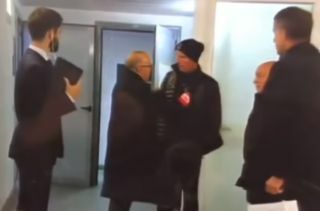 Video footage has emerged that appears to show Isco being embarrassed to arrive for the Roma game only to find out he’s not even in the Real Madrid squad. You can see the clip below as Isco asks about entering the dressing room before being turned away and looking a little taken aback. Marca report that the Spain international was ‘so embarrassed’ by the incident, with things really not looking good for him at the Bernabeu right now. Isco has faced a spell on the bench under new manager Solari but couldn’t even get that far for the Roma game last night. Another report from AS states the 26-year-old was axed for ‘disrespecting’ Solari, so his future will be even further in doubt now. Don Balon have recently linked Isco as a transfer target for the likes of Liverpool, Arsenal, AC Milan and Napoli. These clubs will likely be on alert now as it’s hard to see how Isco can possibly continue at Real if he is shut out like this by his manager.